Everyone has that fail safe make up look to get them through the day and one of mine is what I usually wear on my face to work. I work in a chemist so having a full face of make up isn't that appropriate and I always go for the natural make up look... the one using lots of make up. 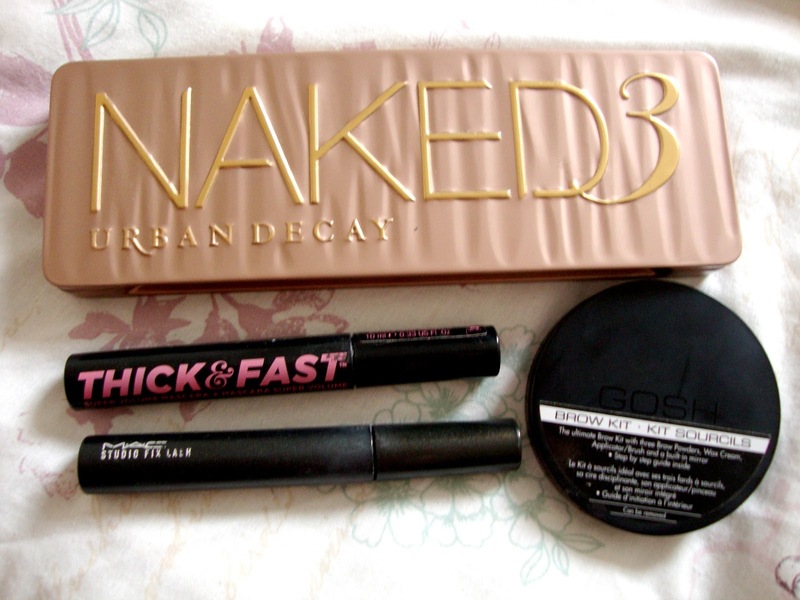 In the above photo are my products I use to get my fail safe make up look. You might be wondering why you can't see a Primer and that's because I don't use one. Not because I'm lucky enough to have amazing skin that doesn't allow my make up to slip but because I haven't found one I get on with yet so any suggestions would be fab. First up I use a little bit of Illamasqua Concealer under eyes and then my trusty No.7 Beautifully Matte in the shade Calico. Couple of pumps of this blended on to the skin with my buffing brush leaves a nice even finish, I then seal it with a quick dusting of MAC Studio Fix in NW20 along my t-zone. 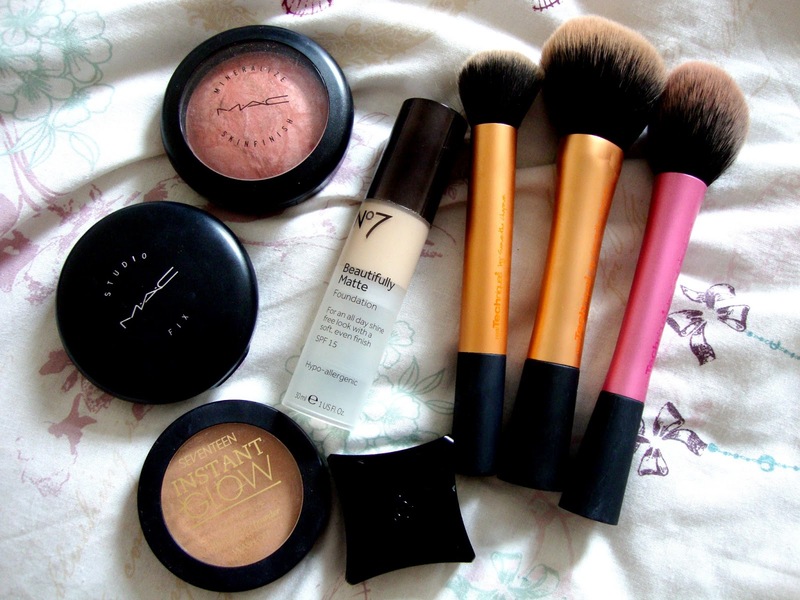 I also use Seventeen Instant Glow in Light Bronze in the hollows of my cheeks and either side of my forehead then finish it off with MAC MSF Stereo Rose on the apples of my cheeks, and down my t-zone. Next up is the beautiful Naked 3. I'm a big neutrals fan and this palette is full of gorgeous rose hued shades. I sweep Strange across my eye lid and up to my brow then either Buzz or Trick in the crease. Occasionally I blend in Factory or Mugshot into the corners too. I use MAC Studio Fix Lash to open and separate my lashes and then Soap & Glory Thick & Fast to add some extra volume. I also fix up my brows with the GOSH Brow Kit. What do you use for work? 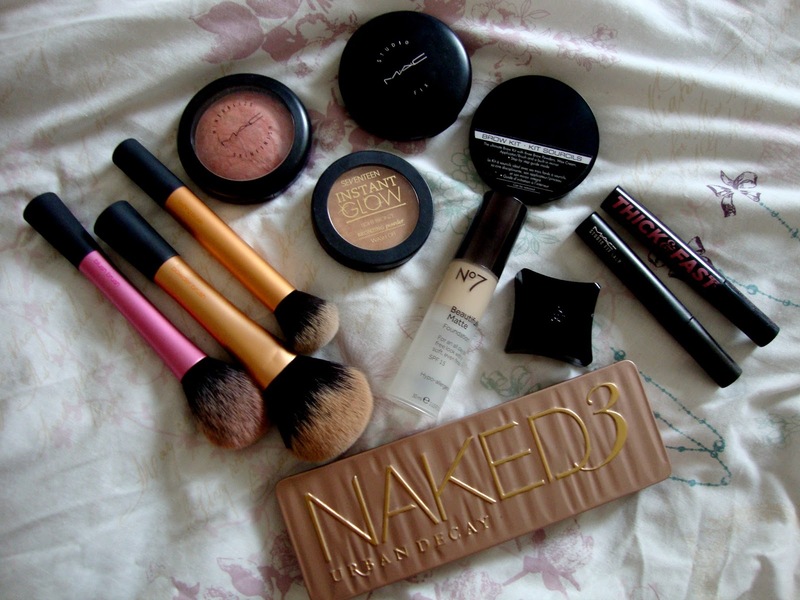 I'd love to own the Naked3, it has such gorgeous shades! I love natural makeup looks. This look is gorgeous! I posted a youtube video with my spring favorites and listed two of my favorite primers. I really like POREfessional face primer from Benefit because it really minimizes pores, corrects hyper-pigmentation, and leaves an almost flawless finish. I also really like MAC Prep & Prime in Natural Radiance - it is light weight, a bit moisturizing, and leaves a radiant finish and is great for days when you want to keep a natural look. Hope that helps you find a primer! BTW you might have sold me on the Naked 3 palette! Love the rose gold look to your eyes. This natural makeup look is gorgeous! Love the look you have achieved with these products. So jealous of your naked palette. Lovely look :) I really like the Revlon photoready perfecting primer, it's creamy and smooth. You look so beautiful and natural (doesn't look like any makeup just beautiful skin!). My favorite primer is Hourglass Mineral Veil, it's a bit of a splurge and I'd never have bought it myself but hubby splurged on it for my bday. It works wonderfully!